Author: Meyer, Carolyn Set In . . .
Marie van Goethem, a fourteen-year-old ballet dancer in the famed Paris Opéra, has led a life of hardship and poverty. For her, dancing is the only joy to counter the pain inflicted by hunger, her mother's drinking, and her selfish older sister. 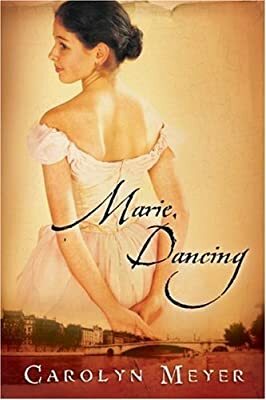 But when famed artist Edgar Degas demands Marie's presence in his studio, it appears that her life will be transformed: He will pay her to pose for a new sculpture, and he promises to make her a star. As Marie patiently stands before Mr. Degas each week, she dreams about supporting her family without being corrupted like most young dancers. She dreams about a life as a ballerina on the stage of the Opéra. And she dreams about being with her true love. In this deeply moving, historically based account, Carolyn Meyer examines the life of the model for Edgar Degas's most famous sculpture, Little Dancer Aged Fourteen.